For the next Pitchfork adventure we’ll be shifting things up a bit and offering a menu of delicious seasonal small plates (3rd June). Menu coming soon, but we’ve got a good feeling about this one so watch this space! The Exchange is one of our favourite Bristol establishments, so we’re really happy to be pitching down there for the day. 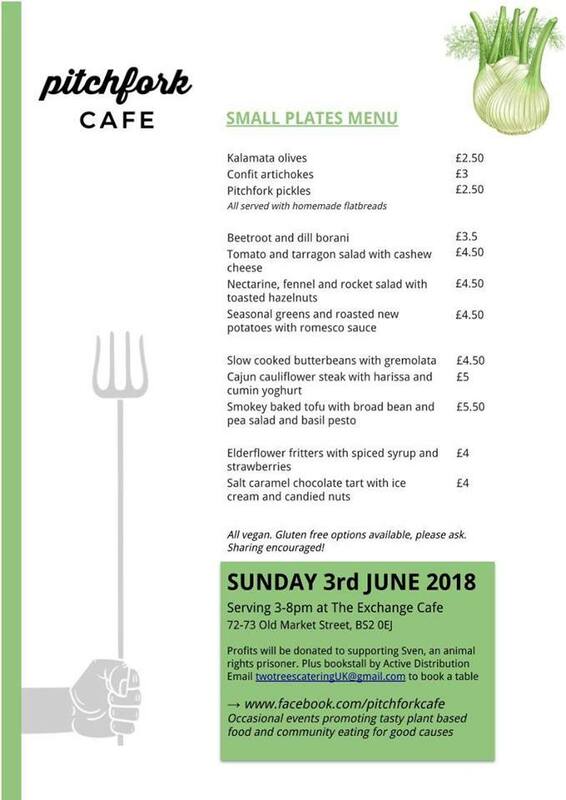 Capacity is limited but we’ll be serving food from 3pm – 8pm so there’s plenty of time to come feast on some plant based snacks. No advance tickets, just pay for how ever many dishes you want to eat on the day.